Keynote speaking is a highly competitive market these days. What must a speaker do to stand out from the crowd? 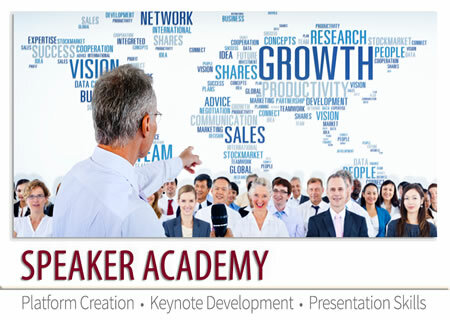 Through our proven process, participants will learn what it takes to create a speaking career and become a world-class keynote speaker. WCD Enterprises will work with you to outline your platform and marketing efforts. As a leader in speaker development we base our services depending on where you are in your career as a speaker. Our services are designed to be valuable for new speakers, as well as experienced speakers who need to re-invent. The ultimate goal of this overall process is to develop a Keynote speech which will be used by participants as the core of all speeches. Many speakers come into the process with considerable skill and stage presence. However, there are many special techniques for improving both; and for those who have not developed those skills, this portion of the process will prove to be invaluable.